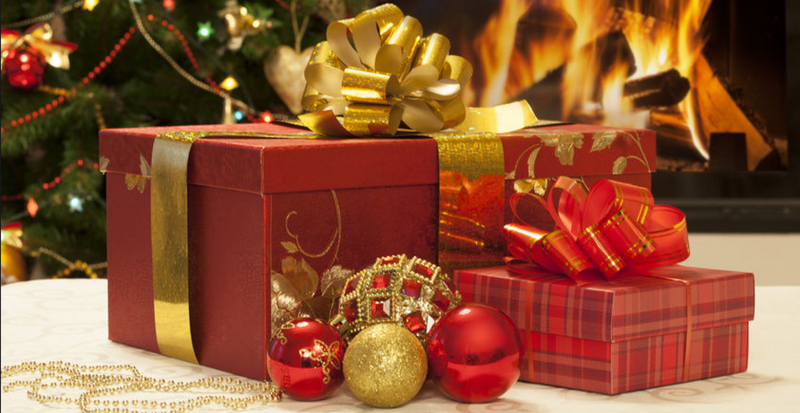 The holiday season has arrived… it can be a chore to pick the perfect gift for the athlete on your shopping list. But don’t fret, we have taken the time and looked at all of the potential gift options out there this holiday season. Whether you’re shopping for an elite athlete or the family’s weekend warriors… 2015 has turned out to be a great year for gift ideas for your athlete! As we kick off the holiday season be sure you get in the mix for the Krush “Stuff Your Stocking Giveaway”... we practically do your shopping for you. We have great stuff this year. You can keep it for yourself (I would) from us to you or you can re-gift, we have no problem with that at all, we are happy to help you cross off that list one gift at a time. 1. Follow Us on Twitter @JeffKrush and Tweet “Stuff My Stocking”. We’ll be picking one “Stuff My Stocking” tweet as a winner. 2. Sign Up on our website: www.krushperformance.com or like us on Facebook: Krushperformance and post “Stuff My Stocking”. We’ll pick someone from one of these to win one of the prizes. 3. Listen Live for the cue to text “Stuff My Stocking” in the show we’ll be picking one winner from our Wednesday and Saturday text pool to win a gift pack. On Wednesday’s Show, December 16th we’ll be picking our Stuff Your Stocking winners, so get in the mix as soon as you can. Note: We will respond to the winners after each show to let you know what you have won, at which time we will request your contact information to collect your prizes. For the out-of-towners, we will work out the details to have your prizes mailed. No guarantees of delivery by Christmas though… sorry! Special thanks to what I like to call the “North Pole South”, United Cycle, for being such a great supporter of the Krush Performance Show, the Stuff Your Stocking Giveaway, and sport in general. Virtually all of the Krush Performance Stuff Your Stocking Giveaway Items are available at United Cycle, plus more cool stuff than we could ever cover. United Cycle truly is a wonderland of sport magic. 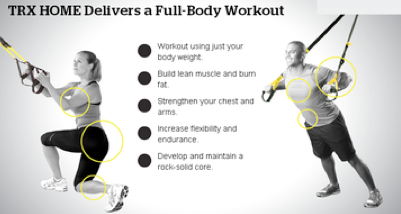 TRX Suspension Trainer – The TRX actually ranks very high on my gift list this year. In fact, if the list were based purely on function and application to sport performance and athlete development the TRX may very well rank #1. So, if you have an athlete on your list who is in training, traveling a lot, or someone who just likes to bust it out, the TRX may be the perfect gift. 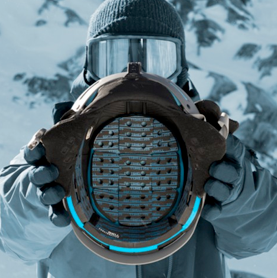 Plus it has a very high “cool factor” as its origin is very closely tied with the Navy Seals. My Number one gift for the athlete this season: The GoPro Hero. Be a Hero and seriously consider this as one of your gift ideas for the athlete on your list this season. 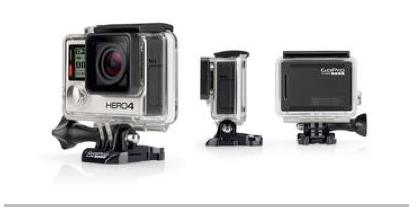 There are a number of models to choose from and they all have a very high “cool factor” but check out the GoPro Hero 4…. just when I thought this GoPro was as cool as possible they just find a way to get cooler. You get some great shots and movies (just go to YouTube and see what being posted off of the GoPro) but we have been using the GoPro for some of our video training sessions with our athletes. So not only does the GoPro have very high ranking on the old Fun-o-Meter (any kid can make a action movie that would make even Warren Miller proud), but it can be used as a great tool for training and getting a good look at yourself during a training session. The GoPro Camera my #1 gift for the athlete this season! You might not think of a Foam Roller or Tiger Stick as a gift idea but if you have an athlete on your list anything, that promotes recovery will get top rankings as a great gift—and not only with the athletes. When it comes to sport, recovery is king and massage is one of the more powerful tools used to get athletes back on track. Whether it’s for warm-up, cool down, injury prevention, rehabilitation, or just pure enjoyment, rollers will be appreciated by any athlete… trust me on this one. The gift of protection and peace of mind, a helmet may be one of the most valuable gifts you can give this holiday season. Knowing what we know now about head injuries and concussions, and with advancements in protection technology from helmet companies, the gift of a quality helmet for your action athlete is a gift that keeps on giving—not just for your athlete. but for you as well. The Forerunner 620 is like having a coach on your wrist—you get real-time feedback on ground contact, cadence, vertical oscillation, recovery strategies, and even VO2Max estimates. 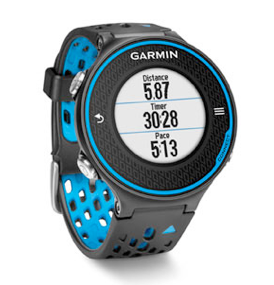 If you want to improve the quality of your training, the Garmin Forerunner is on the forefront of GPS and interactive training technology, and a great gift for any athlete on your list. Visual training is in its infancy in sport but regardless of what your game is visual training is going to be a major component of athlete development in the very near future. For the athlete, concussion baseline testing, is important find out where your baseline is at and where it may be able to go. On the vision side improved reaction time, increased brain processing speeds, improved use of your field of vision, better spatial awareness and reduced risk of injury are only some of the benefits of this powerful area of training. Check for programs in your area and be sure the technicians are certified in the devises they are using. A lot of facilities throw up these advanced visual programs when they do not really know how to use them. For an example of a great visual training program check out Zone Performance in the Edmonton area. A couple of lift tickets and a good night’s sleep is an awesome gift for the outdoor adventurer on your list, and Jasper has had some of the best snow in North America over the past few seasons (and they are off to an incredible start this season, too!). Physical Assessment & Treatment Plan from the Running Injury Clinic at the Glen Sather Sports Medicine Clinic ($200 value). 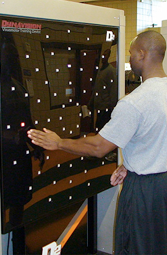 For the runner on your list, I have to say one of the more impressive programs out there is the 3D Gait Analysis. The experts from the Running Injury Clinic at the Glen Sather Sports Medicine Clinic are really onto something here, you just have to look at their results to see how great this can be for dedicated runners. We have a Physical Assessment & Treatment Plan from the Running Injury Clinic at the Glen Sather Sports Medicine Clinic for the runner on your list—injury prevention might be one of the greatest gifts an athlete will ever receive!! For recovery and regeneration or pure relaxation, the gift of a massage will be cherished by anyone on your gift list. Note that sport massage can be a gruelling, painful experience, but it’s a good pain—and it’s a gift that any athlete would absolutely love! Getting an athlete hooked up with a really good sport nutritionist could literally change their lives. Nutrition is the first and most important priority in athlete development and is easily a top 10 gift idea. Talk to the experts at Revive Wellness Inc! Stay tuned as we complete our list of gift ideas and set up the gift list next week for the Krush Stuff your Stocking Giveaway.